The above tempera on panel depicts the head of St John the Baptist and is after the work of the 15th century Netherlandish Northern Renaissance painter Dirk Bouts. 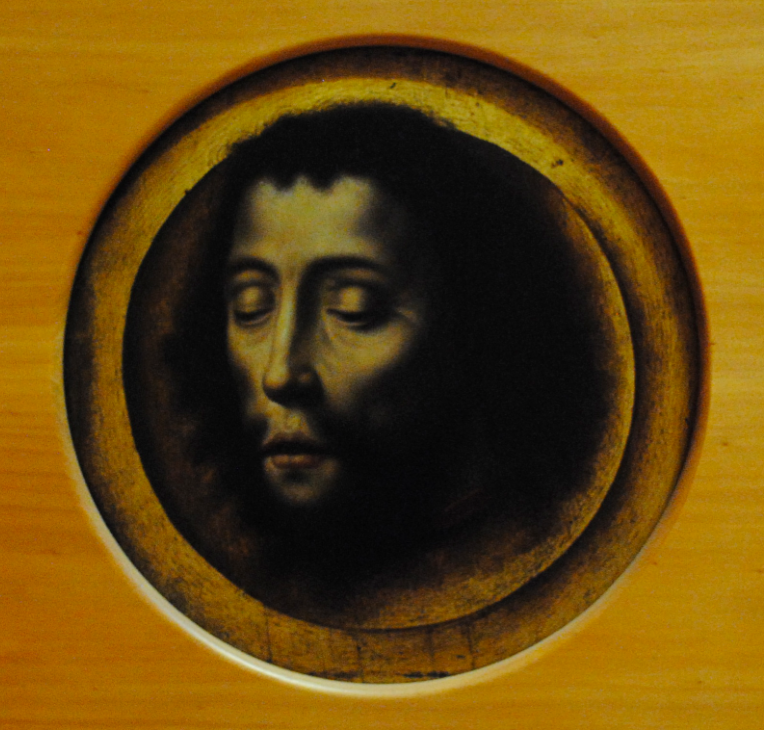 The head of St John was a common theme in Netherlandish painting between the 15th and 17th centuries. 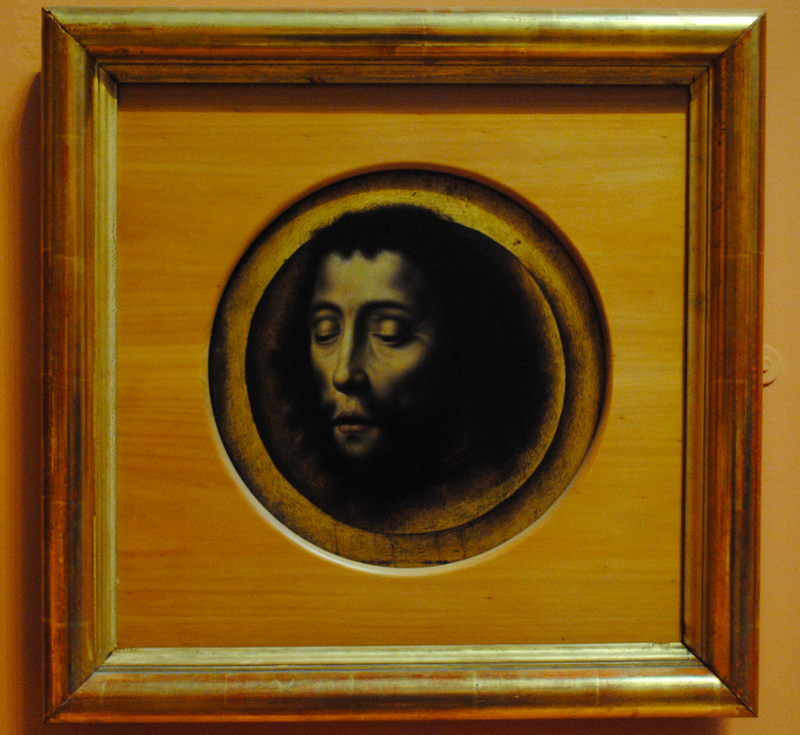 The image is associated with the cult of relics of St John as the forerunner of Christ. St John’s death is recounted in the Gospels as instigated by Herodias after he criticised her marriage to Herod, her former brother in law. Representations of the beheading usually include the figure of Herodias’s daughter Salome, who requested the Saint’s head on a dish.